If you want a happy and successful marriage, then you must learn how to apologize to your wife. It’s not because every issue in your marriage is your fault or that you are always wrong and your wife is right, it’s when you are wrong you understand how to do it correctly. Learning how to sincerely say you’re sorry to your wife will speak volumes about the man you are and how you lead your family. 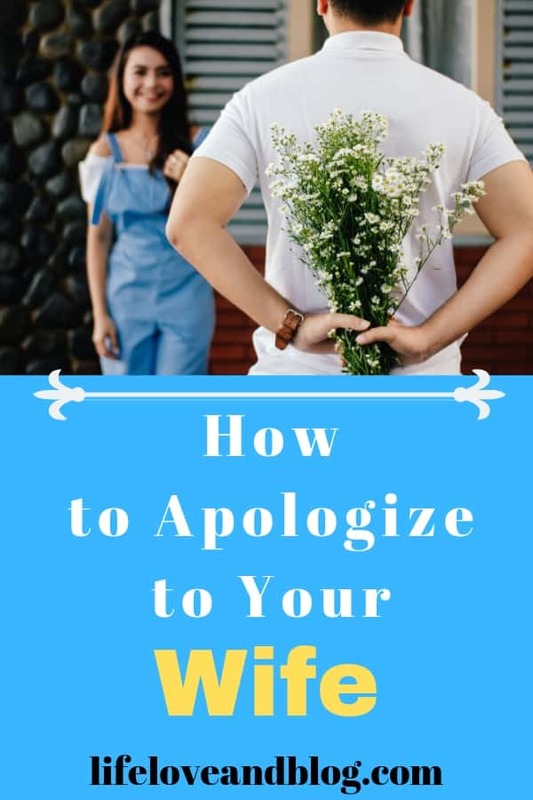 In this post, we are going to cover some of the reasons why you must learn to apologize to your wife and how to apologize. to express regret for something done or said: to make an apology. From a practical perspective, to apologize to your wife means that you are willing to admit you are wrong and can humble yourself before her. Your willingness to admit wrong means you are putting your wife above your self. 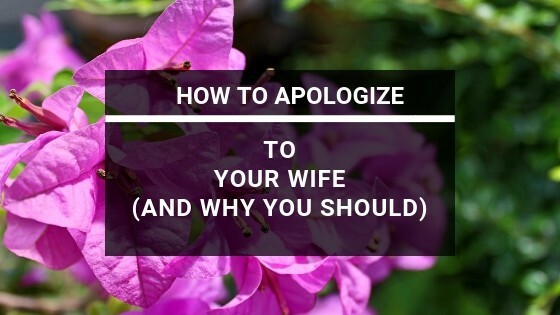 Why is it Important to Apologize to Your Wife? As the ordained leader of your family, you are responsible for setting the tone in your household. As the leader, you are called on to demonstrate strong love and humility in your relationship with your wife. There is no greater way to demonstrate this than to acknowledge when you have offended your wife and that you owe her an apology. I understand that apologizing can be difficult for men. We as men are as a general rule, not very good at apologizing. Our pride is a strong influence and can often get in the way of doing what we should. A recent article found in Psychology Today How to Apologize to a Woman provides great insight into how men and women differ in how each gender views apologies. According to Sam Marguiles, women tend to view an apology as a means of mending the relationship. Men often see an apology as a sign of weakness. We fear that admitting we are wrong and that we made a mistake means that we are less competent and less intelligent. That admission is a bit difficult for most men. Hey! Pin the image below for later. Continuing to offend your wife without an apology to your wife and expression of remorse will over time erode your leadership as well as hurt your marriage. You risk losing the trust and respect of your wife. Don’t let pride or fear of being less competent stop you from being the leader of your family you were called to be. 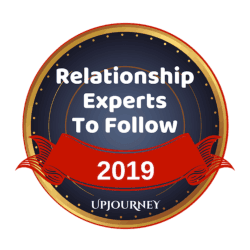 Learn that being self-reflective enough and man enough to admit when you are wrong is one of the best was you can exhibit your leadership role and demonstrate your love for your wife. So, what is the best way to apologize to your wife? How do you show your wife that you are sorry? There are numerous ways that you can say you’re really very sorry to your wife. However, the most meaningful and powerful way that you can say you’re sorry to your spouse is by doing so in a way that is meaningful to her. An apology letter to your wife, a heartfelt gift, or simple and meaningful acknowledgment to her that you are aware that you have offended her may be best. Regardless how you apologize to her, you must show true regret in a heartfelt manner that says you recognize what you did or said was hurtful and do not intend to make that same mistake again. Listen to your wife to better understand her needs and her feelings. The only way you are going to be able to give her a heartfelt apology is by understanding her point of view. When you try to apologize and use the word “but,” it can come across as you are trying to justify why you did what you did. Don’t try to qualify your apology. If you feel there’s something your wife is doing that’s causing an issue in your marriage, then you need to bring that to her attention. Communicate with her about the issue, but don’t make it a qualifier to your apology. In a recent post by allprodad.com, they identified five key points when it comes to apologizing to your wife. Failing to offer your wife an apology is a failure in leadership and failure has her husband. Offering an insincere apology is probably worse than no apology at all. 2.) you refuse to acknowledge that you have offended her and are only issuing the insincere apology to get her to leave you alone and move on from the discussion. Regardless, an insincere apology will only do harm to your marriage and your wife’s trust in you. Not only is learning to humble yourself an important skill that men must possess, but it is also an importing aspect of your spiritual growth. 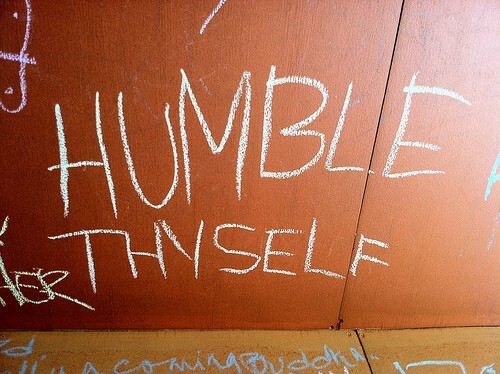 By admitting your mistake(s) to your wife asking for her forgiveness, you are humbling yourself before her. Asking for forgiveness from your wife is one of the powerful ways you can show the value you have for her. It shows that you are willing to put yourself in a vulnerable position in order to make your relationship whole again. Do you regret that your offending action came to light? The first option accompanied by a spirit of healing the relationship can provide greater growth in your marriage. The second option will slowly work to tear down your relationship, cause your wife to lose trust in you, and result in a failure on your part to lead your family. Empathy, as we have discussed before, is key to being able to connect with your wife. This is particularly true when she is upset by your words or actions. Being empathetic does not always come naturally to men. It requires practice and commitment. Dr. Elliot Cohen provides a great deep dive into developing the virtue of empathy in his post How to be Empathetic. 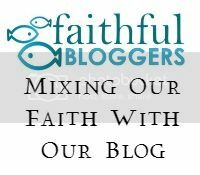 In a recent post from buildyourmarriage.com, you have to understand that just because you have apologized (and maybe multiple times) that all is forgiven. Depending on the offending actions or words, it may take her a little while to forgive you. Be patient with her and understand her ability to forgive may. Getting frustrated that she can’t forgive you immediately will work against you and your relationship. As mentioned above, learn to be empathetic to her feelings. Let her know that you are sorry. If they won’t listen, then perhaps write it down in a note and give it to them to read when they are ready. Even so, be prepared to verbalize what you have written. Some deep pain will probably need ongoing conversation and perhaps even counseling. Your humility in your apology must also include ongoing humility in rebuilding trust, willing conversation, and doing whatever it takes to Build Your Marriage. If you are going to lead your family and work with your wife to have a happy and loving marriage, then you must learn how to humble yourself and admit when you are wrong. It’s not going to always be easy, but it’s always going to be important for your marriage. Do yourself a favor and work hard to put aside your reservations to admitting that you are wrong and embrace that important aspect of your role as the leader of your family and as your wife’s husband.